Marko Mudrinić 13. 8. 2014. In recent years the number of web designers and front-end developers in Balkans has increased significantly. In order to ensure continuous growth of these profiles and follow up on most recent trends, SmartWeb conference - the biggest event in Eastern Europe for web designers and developers is being held in Bucharest's Raddison Hotel from September 22nd through 23rd. In recent years the number of web designers and front-end developers in Balkans has increased significantly. In order to ensure continuous growth of these profiles and follow up on most recent trends, SmartWeb conference – the biggest event in Eastern Europe for web designers and developers is being held in Bucharest’s Raddison Hotel from September 22nd through 23rd. 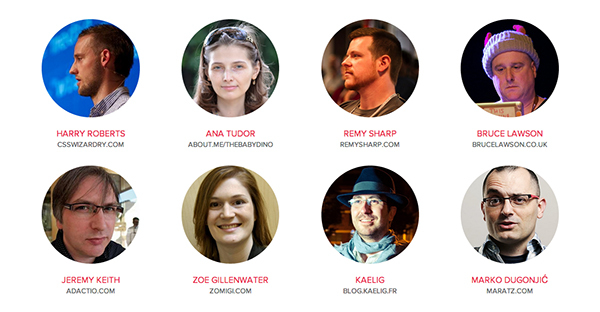 Conference attendees will have an opportunity to find out more about the latest trends in Responsive Web Design from speakers such as Harry Roberts, Ana Tudor, Remy Sharp, Bruce Lawson, Vitaly Friedman, Jeremy Keith, Zoe Gillenwater, Kaelig, and Marko Dugonjic. They will also pick up important tips and tricks related to HTML5 & CSS3, CSS and Java Script. First day of SmartWeb conference will be dedicated to a full day workshops where the attendees will develop the web abilities with Harry Roberts, Consultant, Designer Senior Developer and Writer for csswizardy.com. Roberts’ workshop will be followed by Vitaly Friedman, Co-Founder, Smashing Magazine who will talk more about CSS Architecture and Responsive Design. Final day of the conference is reserved for eight different and intensive lectures from other speakers. They will cover some of the most interesting subjects from web design and front-end development. 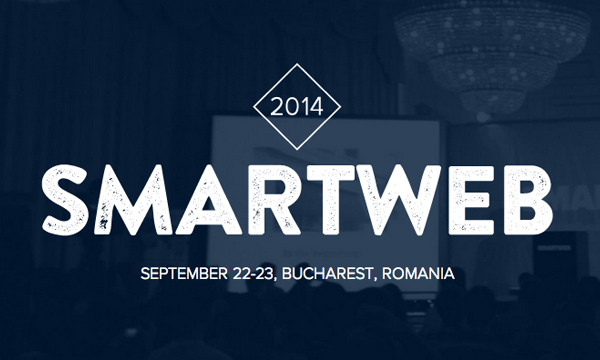 Applications for SmartWeb in Bucharest are already open, and prices range from 175 euros (just for the lectures) to 500 euros for both lectures and workshops. More information about the event is available on the official website.